I recently had a long lost friend come into town for the first time for a conference. A lot of the conference was going on downtown Monday through Saturday. She assumed it was because of the conference that there were people mulling around and going out in downtown Nashville. We informed her it is just that way all the time (maybe not Sunday 1st thing in the morning except during Titans Football) with natives and tourists alike going out on the town. Even in the middle of winter, there are people going out in downtown Nashville to restaurants, honky-tonks, shops, events, and festivals. The vibrant downtown area is something I love about Nashville. Every week and weekend there are events and festivals open to everyone (some free, some with and entry fee). Here are a few events that I will want to attend in the coming week. 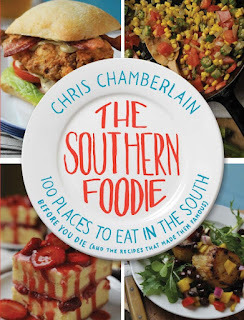 My local food writer pal Chris Chamberlain recently got his book "The Southern Foodie, 100 Places to Eat in the South Before You Die" published. In the book, as I have heard, are stories about 100 restaurants/joints in the South and a recipe or two from each one. There is one Chris told me about from Monell's (local to Nashville) that actually didn't have as much butter in it as I thought, so I will be getting 2 servings corn pudding next time. I have yet to make it at home because why mess with a good thing, and I will just hop over to Monell's and "get me some" of the corn pudding. Learn how to make kraut, kimchi, yogurt and more! My new/old favorite sushi place in Nashville is Miyako in Brentwood, near Vittles and O'Charley's on the corner of Old Hickory Blvd and Franklin Rd. It has been around for almost a couple decades serving up Japanese food to those in the know. I just went for the 1st time a few months ago, and I like this place for the consistency in product, good prices, a clean dining room, and relaxed atmosphere. There really isn't any outstanding sushi in Nashville or surrounding area, so why pay high prices for the same product elsewhere? Miyako has the best prices around. The plate shown above was a little over $20 at Miyako and it comes with a bowl of miso soup and a small iceberg lettuce salad. There is a relatively new sushi and Thai place around the corner from me, and I got same exact plate and it cost over $50 and there were no soup and salad either, those cost extra. So for 60% less in cost in sushi price for the same quality and quantity, I am going to Miyako. I also like that Miyako runs like a well oiled machine. Dirty dishes do not pile up on tables where patrons have paid and left, the floor is not sticky and does not have spilled or ground-in food, and the waitstaff is efficient but not harried. Miyako is clean and comfortable, which some take for granted in restaurants. But when you go to a place that is not clean and comfortable, it puts clean and comfortable of good restaurants in to perspective. So, in comparison, the last time I tried to eat at a sushi joint down the road from Miyako, this other place had dirty dishes piled on tables, food on the floor thrown by children and not cleaned up, there were at least 2 flies in the restaurant, and the staff was harried providing a really un-relaxing dining experience. I will never go back to the other joint. I will go back to Miyako because it is consistent and not dirty. The food at Miyako is what you would expect at any Americanize Japanese restaurant in the Nashville area. Every meal starts off with miso soup and an iceberg salad with a blob ginger carrot dressing on top. 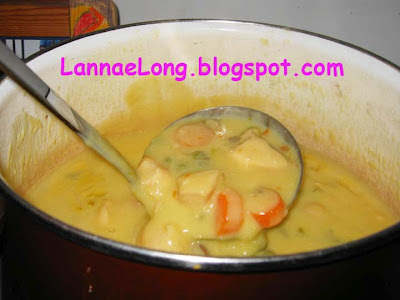 Neither freebie soup and salad is anything to write home about, but if you are hungry when you arrive, the soup and salad come out quick and take the edge off while you wait for your freshly prepared meal. We have gotten sushi, sashimi, bento boxes and yakisoba. 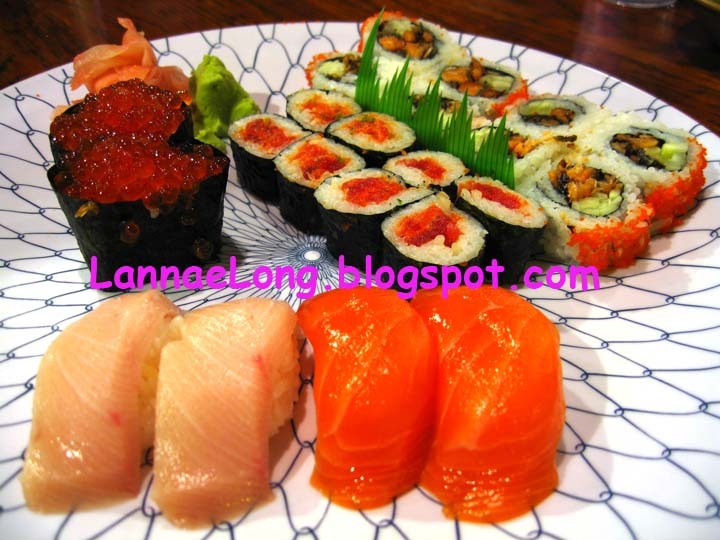 The sushi and sashimi combos are consistent, have the best prices around and are plenty of food for my meal. The bento boxes are not the most creative, but they are consistent, have the best prices around and are more than enough food for my meal. 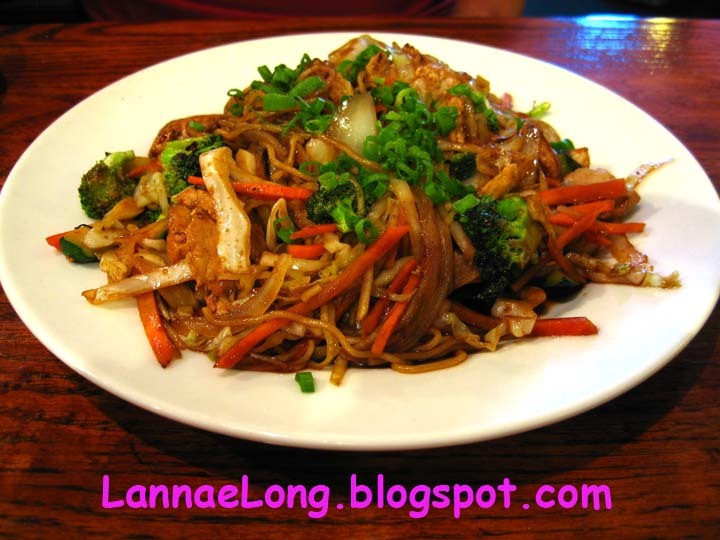 The yakisoba is also consistent, straight forward and what you want in a pile of thin noodles. I really like the yakisoba uses nice thin Asian style noodles in a light teriyaki sauce which is an oldie but goodie flavor I like. Also, the yakisoba plate is so big, that there is definitely 2 meals on the plate. So either share the dish at dinner, or bring a tupperware and take some home for your next meal. I personally have started bringing my own tupperware container to restaurants, so my leftovers are already in the container I am going to put in the microwave the next day, instead of bringing home a big bulky styrofoam box, and then putting it in my microwaveable container, and have the styrofoam box take up a lot real estate in the garbage can, and then having to take out the garbage in the middle of the night because the garbage can is too full because of the styrofoam, and all I want to do is get into PJs and relax, but I can't because the garbage must go out. Eh, you get the picture. I am lazy, so bringing my own tupperware allows me to get home and get into PJs and relax sooner. In general, Japanese food is healthier than some other foods. Besides tempura, there is very little that is deep fried or ladened with lard. There isn't a lot of over top flavoring either because the Japanese food aesthetic is to allow the natural flavors of the food to shine on their own. If I feel like I have a healthy day, I like to cap the day with a little sushi and finish healthy. Miyako is right down the street from the Maryland Farms YMCA, one of the nicest gyms around with an extensive wellness workout area, women only workout areas, tennis, Olympic size pool, and every group class you can think from aerobics to zumba. When I have a good healthy day, I like to go to the Maryland Farms Y and workout and then go to Miyako and get some sushi. Visiting my pal, working wife and mom of 3 active kids in school and sports, there isn't a lot of time left in the day to put a hot meal on the table every night, and provide excellent snacks everyday. It is amazing to me that my pal does put a hot meal on the table everyday, and had decent snacks for the kids after school on top of all the other working stuff she does. She is an awesome working mom! One good snack my pal makes that I think is awesome is Pizza Bread! It can be served hot or cold, and is a real time saver that way. It is fast, easy and the kids love it! 1. Get pizza dough, make pizza dough, or use frozen bread dough. If you using frozen bread dough, take it out of the freezer in the morning, and let it rise all day, and it will be ready to use when you get home from work. 2. 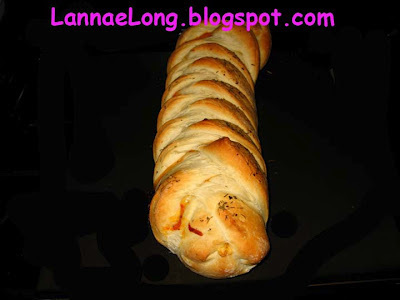 Roll out dough on a jelly roll pan. 3. Put fillings down the center of the bread dough leaving room at the ends and sides. My pal just used what she had in the house, some tomato sauce, sliced ham, cheese, garlic, oregano, salt and pepper. 4. Slice the dough on the edges like a wide feather. 5. Fold the ends of the dough up over the stuffing, and fold the feathered dough up and over in a weave pattern (as seen above). 6. Bake at 350F for 20 - 25 min. 7. Cool. Cut into slices and enjoy. 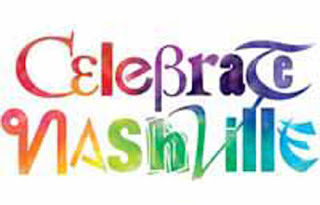 One thing about Nashville is that I really don't know too many people who were born and raised here. Most are transplants from somewhere else. One group of friends of mine are all from the midwest, and were raised with really awesome casseroles that were easy and quick to assemble, and can feed a family and any kid's friends for dinner. Chicken a al king, Johnny Marzetti, frito chili pie, potato au gratin, turkey tetrazzini, hamburger pie, and mac and cheese are all good solid midwest meals. The Man is from Ohio, and has fond memories of his aunt making Johnny Marzetti for reunions and potlucks. So, after a few weeks of talking midwest food with my midwest pals, we decided to do a midwest themed potluck. Since I am not originally from the midwest, and my mom was all about whole foods, and nothing from a can, and nothing from a box, I was not raised with traditional casseroles. Casseroles are a bit of new thing for me. BUT, the Man taught me about an Ohio favorite - Johnny Marzetti, and baked pasta dish that he grew up with. 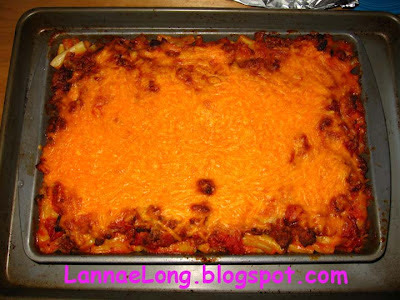 The premise behind a Johnny Marzetti is ziti mixed with tomato sauce, ground beef, and mozzarella, then topped with cheddar and then baked until hot. 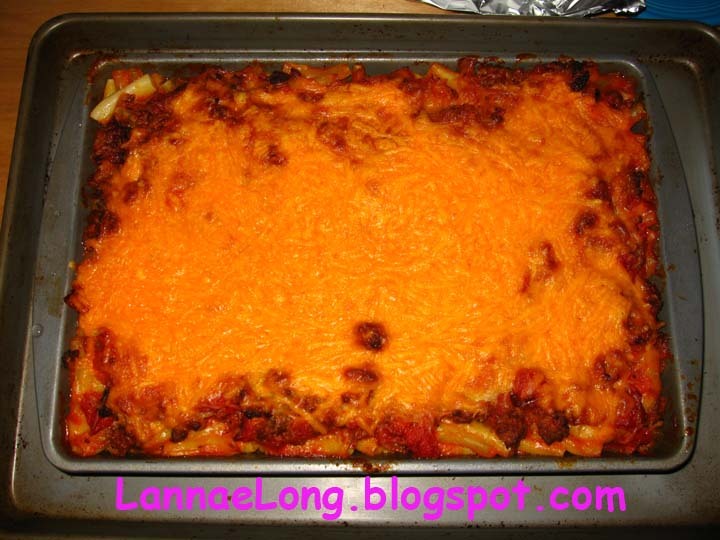 In essence it is a baked ziti casserole that can feed a lot of people. I decided to make this dish, but I would use lots of local organic ingredients my own tomato pasta sauce I made with a lot local organic ingredients and some conventional. The sauce I made with Foggy Hollow and Barefoot Farmer tomatoes, Barefoot Farmer peppers, onions, and garlic, my organic garden oregano, thyme, basil and cayenne, salt and a little squirt of honey from my friend's house in Mt Juliet. So I made about 2 quarts of sauce. 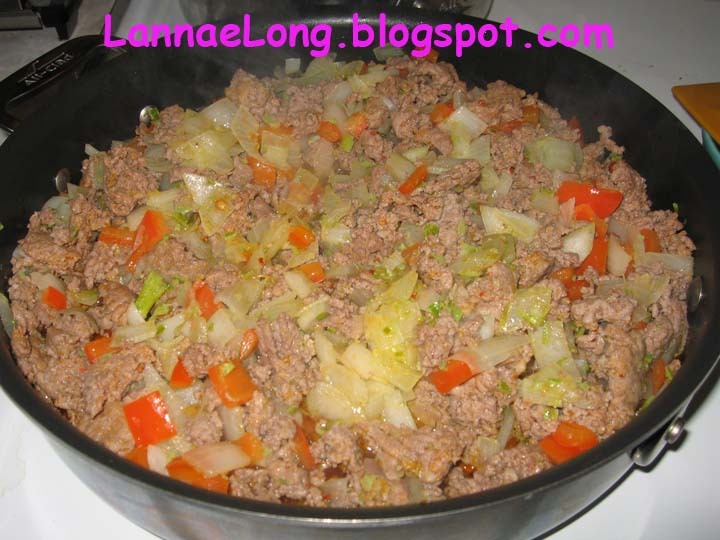 The ground meat mix I used local ground beef (West Wind) and hot Italian style sausage (Emerald Glen), and I sauteed that up with Barefoot Farmer onions, celery, garlic and parsley, Foggy Hollow sweet peppers, my organic garden cayenne and salt. The cheese, I cheated and did not use local organic product. I bought conventional pre-shredded Italian style and pre-shredded cheddar, not Sweetwater Valley or Kenny's. The pasta, I cheated on too, and it is dried boxed ziti, not Lazzaroli's fresh pasta. To assemble, I greased the bottom of a 9x13" pan. I put a layer of sauce down first. 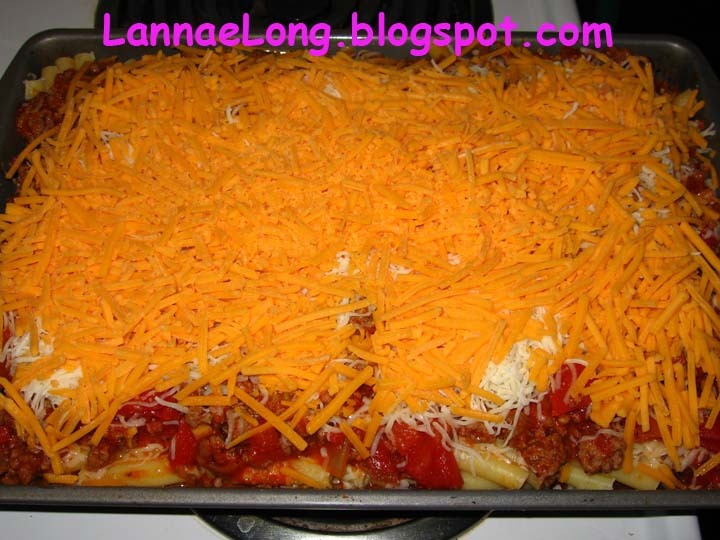 Then I put a pasta layer, meat mix layer, sauce layer and mozzarella layer. I layered until I was out of each layer material. Then I topped the top with cheddar cheese. I put the casserole in the oven at 350F for 30 minutes until the top cheese layer was all melty. Everyone at the dinner said they liked this dish. The other Ohio people recognized this dish from the school lunch they used to get in Ohio, except that this dish has a lot more flavor and yumminess to it than the school lunch. My friend Debbie, a recent transplant from the Midwest is the queen of the casseroles and crock pot. She makes chicken a la king like no one's business. After she made it months ago, I bugged her for the recipe, and I made it a few times since because I love it! So it is a couple cans of cream of chicken, a couple cans of cream of mushroom, diced chicken, and a bag of frozen mixed veggies. So add the condensed soup and chicken to the crockpot and cook on low 6-8 hrs, or hi 3-4 hrs. In the last 30 - 45 min add the veggies. That is it. So dang good. It tastes like pot pie filling which I love! Debbie made chicken a la king for the party, and I took all the left overs home with me. So good! So, when I make this at home, I use the condensed soup, and I add diced organic chicken thighs because I like thigh meat better than white meat. I also add Barefoot Farmer carrots, celery and onions to the mix. I add sliced creminis. I add my organic garden cayenne, and a splash of white wine to it. Then at the last 3- to 45 min, I add a small bag of green peas. It tastes different from Debbie's traditional mix, but still tasty I think. Another midwest friend made frito chili pie! I have never had this tasty treat before, and I am impressed with it. She assembled it in about 2 minutes and baked for about 10-15 min. 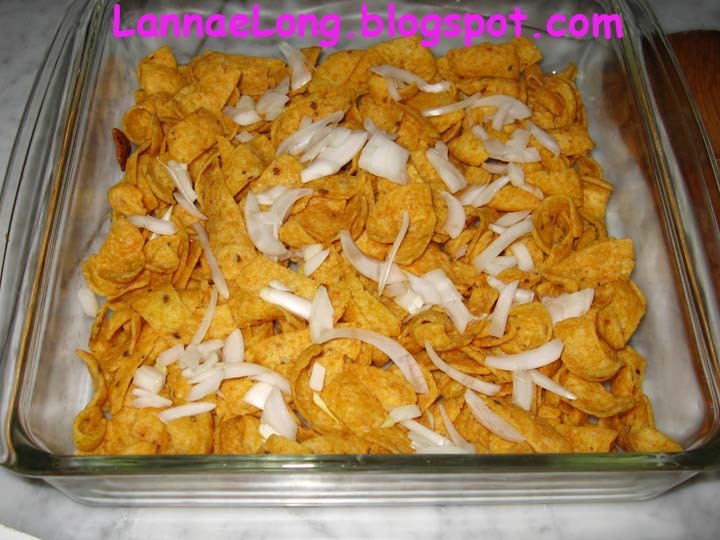 She emptied a bag of regular (and btw, the best) fritos in a baking dish. She sliced some onion and scattered them on the chips. 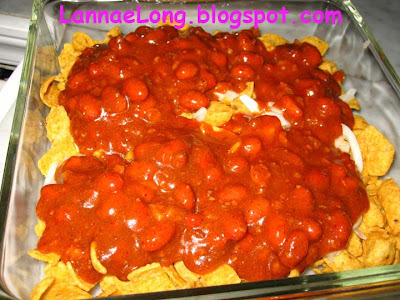 She opened a can of chili with beans, and poured it over the chips. She opened a bag of shredded cheddar, and poured that on top of the chili. She popped the dish into the oven until the cheese melted, and she served it. Really good. I just love this dish too! There were other dishes including tuna casserole, salad, cheesy kale, straight up sauteed kale, watermelon and s'mores. S'mores are universal, so I had those as a kid. At this potluck, one midwesterner brought giant marshmallows and Hershey's chocolate to make the s'mores. We got the bonfire going, collected sticks from the yard, and unraveled a couple wire hangers to toast our marshmallows. I, of course, set my marshmallow on fire because I like tasting the charry goodness. Oh we had so much fun making s'mores. It was like we were kids again, giggling at the messy drippy sugary treat. Us adults were possible on sugar highs, and the kids had to remind up to settle down. Anyway, here in Nashville, kids went back to school on August 1st. Yes, you read that right, August 1st. With sports, studying, and school, and the kids aren't old enough to drive and take themselves around, the adults don't have much time for potlucks now. So, I have some fun memories, and some great casserole and crockpot recipes now. And, I am totally scanning the calendar looking for another good day for another midwest themed potluck. You want to know where some really great burgers are in Nashville? click the play arrow and see some really great burgers!